It may seem that Patrick Sullivan suddenly emerged as a brilliant and particularly individual winemaker overnight but that couldn’t be further from the truth. Patrick studied, travelled and worked hard in unrecognised roles for years before entering the spotlight. After a rural Victorian upbringing Patrick made himself at home in London’s fine wine retail scene before undertaking a degree in viticulture. Patrick’s focus is the vineyard, not the cellar. 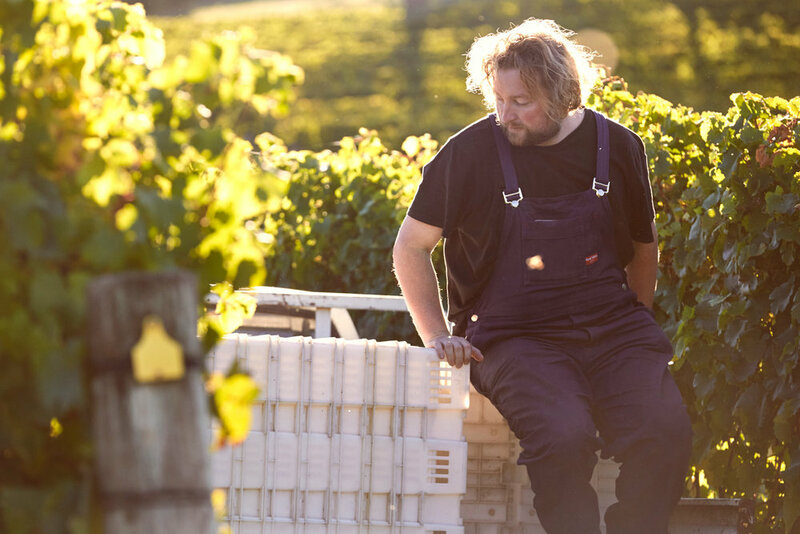 After working in various organically and biodynamically managed vineyards in his home state of Victoria, Patrick began working with Stuart Proud, arguably one of Australia’s finest viticulturists, in the Yarra Valley. Patrick worked in the vineyard and in the cellar with Proudy & winemaker William Downie for some time before carefully launching his own, eponymous label. Only a handful of vintages into his label, Patrick has almost accidentally become a high profile spokesperson for the Natural Wine Movement and one of our great ambassadors to the United Kingdom, particularly influential both as a producer and as an intellect for assisting in the shift of perspective of what Australian wine is today in the European eye.